That was great. It tells the story so well. I have never seen anything like this before. He'd better watch out -- that worm might turn the tables on him! To see the segments in the stretched out worm is amazing! Photography can take us where we can not go. It's like being six inches away! How can it get better than that Pat? Great sequence Pat!! Boom & Gary of the Vermilon River, Canada. Bravo Pat! Beautiful images. 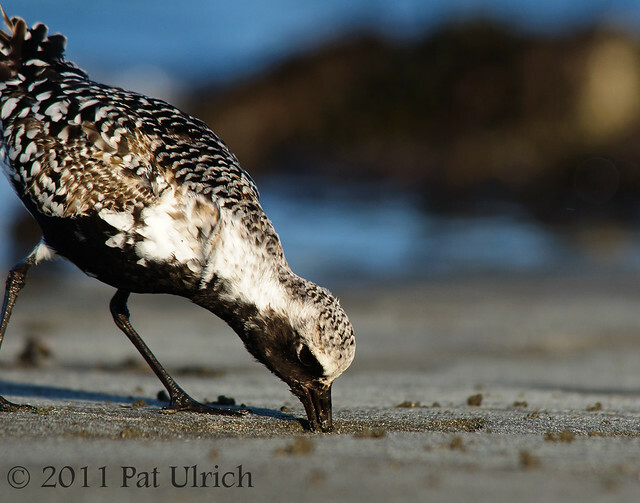 I watch robin's do this all the time but here is something special about a shorebird ripping a polycete from the sand. FABulous feeding time series. Well done Pat. I'm speechless, WOW! Exquisite captures Pat! 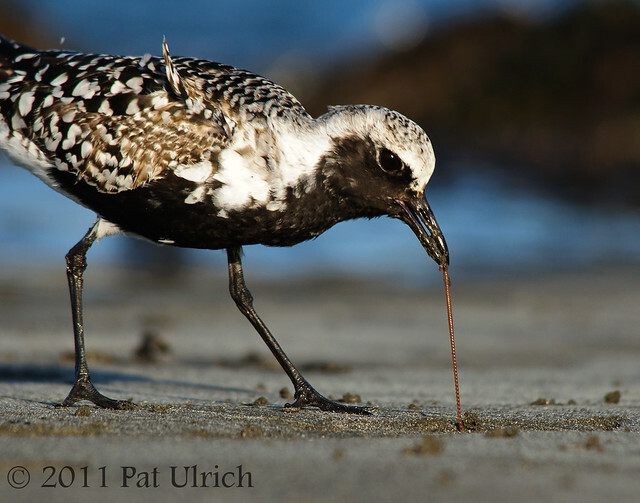 The annelid worm never had a chance with this beautiful shorebird. Amazing series of photos showing the lovely little Plover getting his dinner! This has got to be the best series Ive ever seen. Fantastic bird behaviour captured brilliantly. He was determined to get that worm! Great captures! Great series of photos. 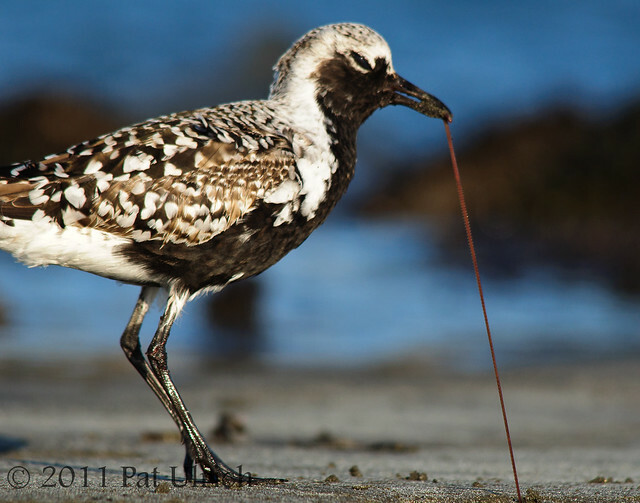 My books say the Grey Plover is also called the Black-bellied Plover - so we do see that one down here in Australia - but not in such beautiful breeding colors as that! Wonderful series, I am glad it got the worm. 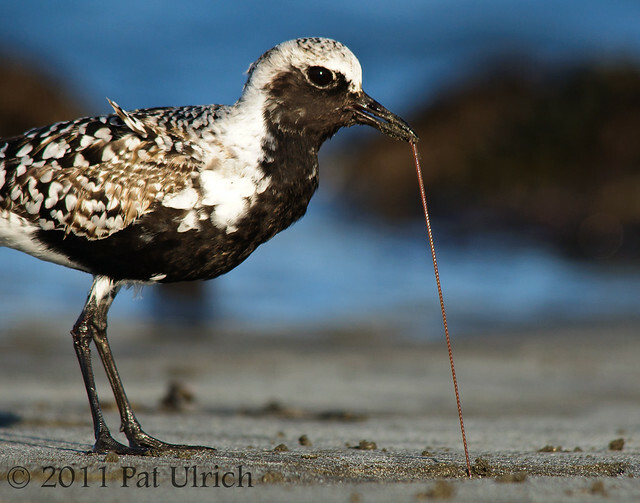 Great photos of the Plover! Hi - great set opf pictures - I often get to watch Pied Oyster Catchers pull worms from the beach. I've only ever got pictrues of it once - and they were nowhere as good as these! Are you sure that is a worm? It looks like a piece of licorce to me. Great pictures. This is really a great series. That is an amazing series...HOW Long is that worm!!! 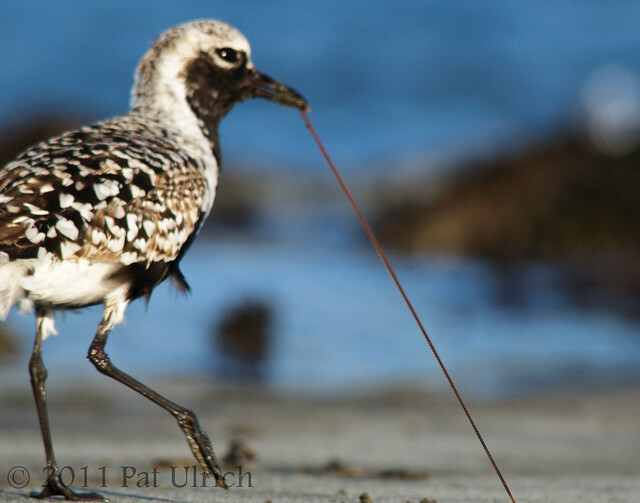 Fantastic series of the Black-bellied Plover Pat! Truly amazing. You must have been on your belly to get those shots!